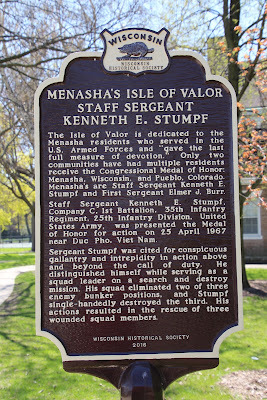 Staff Sergeant Kenneth E. Stumpf, Company C, 1st Battalion, 35th Infantry Regiment, 25th Infantry Division, United States Army, was presented the Medal of Honor for action on 25 April 1967 near Duc Pho, Viet Nam. Sergeant Stumpf was cited for conspicuous gallantry and intrepidity in action above and beyond the call of duty. He distinguished himself while serving as a squad leader on a search and destroy mission. His squad eliminated two of three enemy bunker positions, and Stumpf single-handedly destroyed the third. His actions resulted in the rescue of three wounded squad members. NOTE: This is a two-sided marker. 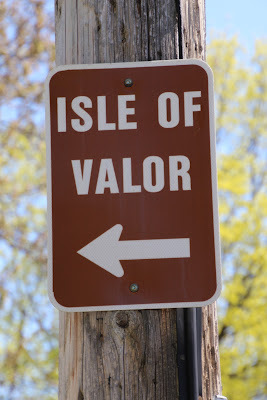 See also, Marker 564: Menasha's Isle of Valor First Sergeant Elmer J. Burr. For conspicuous gallantry and intrepidity in action at the risk of his life above and beyond the call of duty. SSG Stumpf distinguished himself while serving as a squad leader of the 3d Platoon, Company C, on a search and destroy mission. As SSG Stumpf's company approached a village, it encountered a North Vietnamese rifle company occupying a well fortified bunker complex. 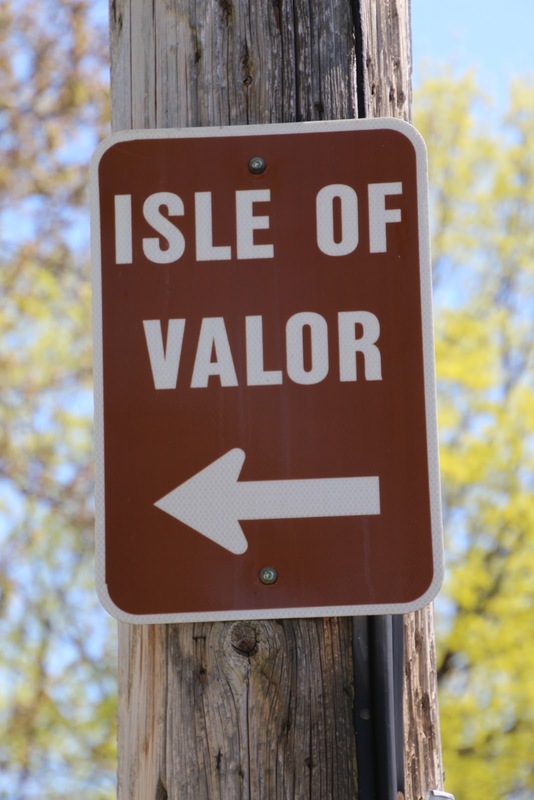 During the initial contact, 3 men from his squad fell wounded in front of a hostile machinegun emplacement. The enemy's heavy volume of fire prevented the unit from moving to the aid of the injured men, but SSG Stumpf left his secure position in a deep trench and ran through the barrage of incoming rounds to reach his wounded comrades. He picked up 1 of the men and carried him back to the safety of the trench. Twice more SSG Stumpf dashed forward while the enemy turned automatic weapons and machineguns upon him, yet he managed to rescue the remaining 2 wounded squad members. He then organized his squad and led an assault against several enemy bunkers from which continuously heavy fire was being received. He and his squad successfully eliminated 2 of the bunker positions, but one to the front of the advancing platoon remained a serious threat. Arming himself with extra hand grenades, SSG Stumpf ran over open ground, through a volley of fire directed at him by a determined enemy, toward the machinegun position. As he reached the bunker, he threw a hand grenade through the aperture. It was immediately returned by the occupants, forcing SSG Stumpf to take cover. Undaunted, he pulled the pins on 2 more grenades, held them for a few seconds after activation, then hurled them into the position, this time successfully destroying the emplacement. With the elimination of this key position, his unit was able to assault and overrun the enemy. SSG Stumpf's relentless spirit of aggressiveness, intrepidity, and ultimate concern for the lives of his men, are in the highest traditions of the military service and reflect great credit upon himself and the U.S. Army.